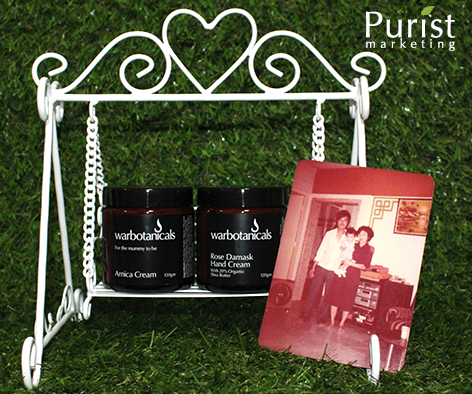 Win SGD63 worth of Warbotanicals products this Valentine's Day! Stand to win the all-natural Rose Damask Hand Cream and Arnica Cream worth SGD63! We’ll pick 10 of the best entries, and winners will each receive a jar of our Rose Damask Hand Cream for yourself and a jar of Arnica Cream for your parents. Show your appreciation today! – Contest closes on 5 February 2015 and is only applicable within Singapore. We’ll announce the winners on our Facebook page on 6 February 2015. Rose Damask Hand Cream: With organic shea butter, this luxuriously rich rose-scented cream keeps your hands smooth and supple. Arnica Cream: Helps to soothe aching muscles and joints, wonderful for relieving pains caused by rheumatism.